Born in 1945, Leslie Calvin Brown is here to let you and the entire world know one thing: “It’s possible! You have something special. You have greatness within you”. The simple yet highly inspirational motto Brown commonly uses has for decades motivated people worldwide to chase after their dreams and ambitions. But who is Les Brown, and what are some of his biggest career milestones? 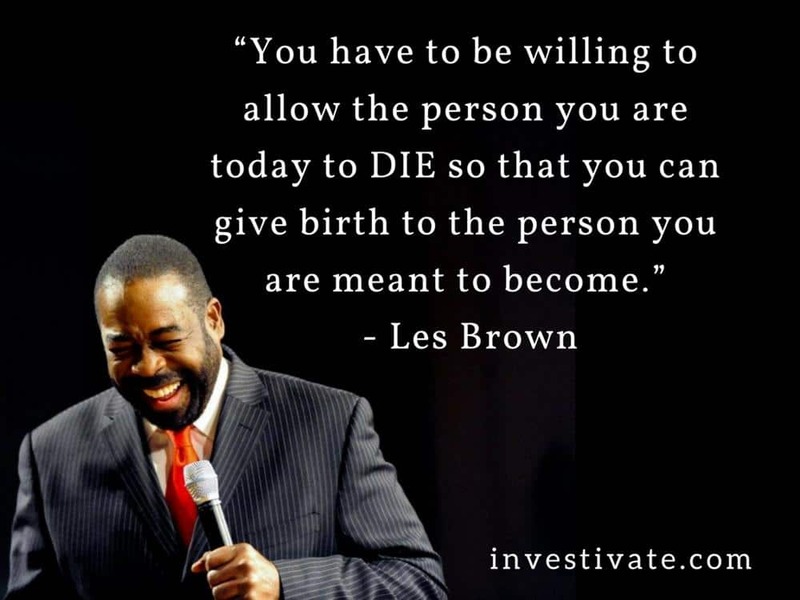 To understand his message clearly, we must first take a deeper look into Les Brown’s early life. Born in a low-income district in Miami, Les Brown was put in adoption as a young boy and subsequently adopted by Mamie Brown. Although certainly considered amongst the most brilliant motivational speakers alive, Brown was initially diagnosed as “educable mentally retarded”. Despite the odds being stacked against him, Brown found support in his mother and high school teachers who, ultimately, inspired him to inspire others. 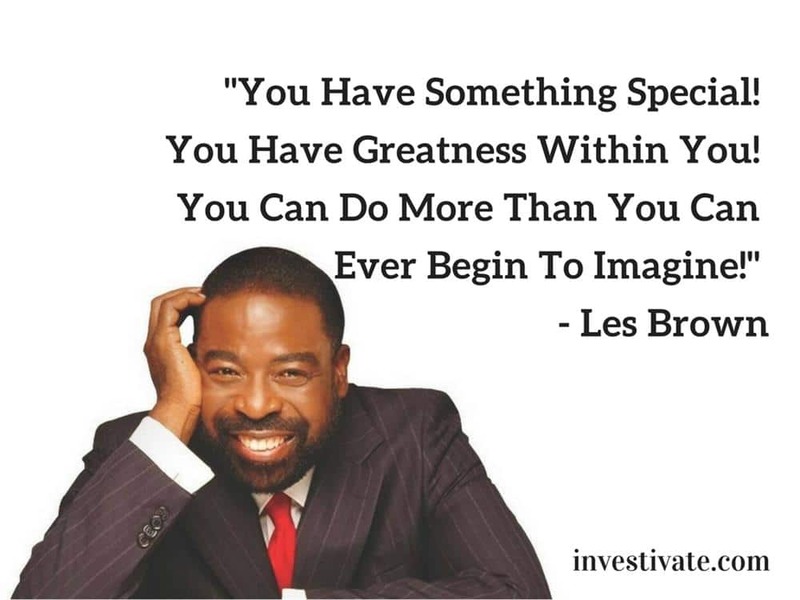 Les Brown didn’t start off his career immediately as a motivational speaker. As a young man trying to get his big break in radio, he eventually managed to get hired as a full-time DJ. Aspiring for more and eager to reach a wider audience in a way he could positively impact people’s lives, Brown ran for the Ohio House of Representatives, ending up with a tremendous win. But once again, Brown aspired to more, which eventually landed him on PBS. While on PBS, he started his own company, Les Brown Enterprises, in order to fund his own career as a motivational speaker. And this is when his career as the charismatic and insightful Les Brown we know today truly took off. During his long and prosperous career he also the penned several books, such as “It’s Not Over Until You Win”, “Up Thoughts for Down Times”, and “Fight For Your Dream”. He also has a series of audiobooks entitled “Choosing your Future”, whose aim is to motivate and inspire younger generations. One of the Top Motivational Speakers in the world. Les Brown truly is the embodiment of “it’s possible!”, constantly proving everyone not to underestimate his dedication nor his passion for what he does and the message he shares. And perhaps those are the secrets to his tremendous success: the ability to aspire to more, reach that goal, and be passionate to share your message with those willing to listen. As one of top motivational speakers in the world, it wouldn’t seem fair to finish this short article without including a special selection of Brown’s quotes we believe best describe him and his passion. There is no official information about his net worth. However, some sources stated that his net worth is about $10 million. On one of his recent websites where he launched his latest book “The 12 Laws of Success”, he stated that he has earned over $61 million in his career. You can definitely feel inspired and motivated just by reading Les Brown’s list of quotes above. If you like any particular saying, put it in your computer wallpaper or your phone screensaver and read it every day to stay on track to achieve your goals and dreams. If you like this list, feel free to share it by using the social media buttons below.